Professor Brown's research interests focus on physical activity and the prevention and management of chronic illness at a population level. To date, much of her research has been in the areas of obesity and the health and well being of Australian women. Professor Wendy Brown joined the UQ School of Human Movement Studies in 2000 as the first professor in physical activity and health. Her educational qualifications are in human biology and physiology, exercise physiology, and health and physical education. She has had a diverse career path, working in both secondary and tertiary education, as well as public and private health promotion. 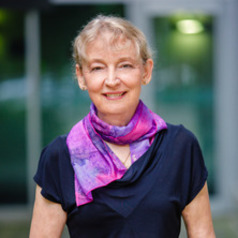 Prior to her move to Queensland, she was the Director of the Research Institute for Gender and Health at the University of Newcastle, where she was a founding investigator and manager of the Australian Longitudinal Study of Women's Health. This project has been tracking the health of over 40,000 women for ten years. She was also a Chief Investigator on the "10,000 Steps Rockhampton" project which aimed to increase the physical activity levels of a community of approximately 60,000 people. In addition to her teaching and research commitments, she devotes considerable time to professional and policy development through her work with government departments, the National Heart Foundation, and Sports Medicine Australia. In the last five years, she has contributed to research grants with a value of more than $26,000,000, published more than 120 articles in national and international journals, and written numerous research reports.